Whether you’re an established or junior miner interested in expanding your mining portfolio, GoIndustry DoveBid S.A proudly presents the disposal of Lerala Diamond Mine. This mine is in liquidation and is being taken to public auction via GoIndustry’s trusted online auction platform. Bidding opens on Thursday, 24 May 2018 and closes for final bids on Wednesday, 30 May 2018. The mine is situated in North-East Botswana, 34 km north of Martin’s Drift, and comprises of 5 diamondiferous kimberlite pipes, ranging from 0.16 hectares to 2.35 hectares. One pit has been partially developed and mined. The liquidators of Lerala Diamond Mine have chosen Goindustry to manage the disposal of this mammoth asset, due to their valuation and asset disposal experience, their trusted online bidding platform, their global reach with offices across the world, and the transparent processes that they offer. This auction includes the sale of the pits, the resource, the process plant and ancillary equipment. Goindustry, along with the liquidators, will assist with the transfer of the mining rights, license (and other regulatory requirements). The complete processing plant consisting of a 260tph crushing (primary jaw and secondary cone) and screening circuit (with high pressure grinding rollers), 200tph DMS processing plant, final integrated x-ray recovery house and hand recovery and grading, material reticulation of conveyors, thickener plant, tailing dams, diesel generator plant, electrical reticulation, workshops, offices, mine camp, and other essential mining equipment. The final sale is subject to approval by the ministry of minerals, energy and water resources. Further details about the mine and equipment on auction can be viewed at www.go-dove.com/southafrica. Buyers can participate in the auction from anywhere in the world, at any given time. Product information is available in one central location and therefore easily accessible. On-site event needs to be hosted, which in turn saves the sellers money. Buyers need not travel long distances to participate in the auction. Products do not need to be moved to one central location for an auction to be held. Products can be stored at multiple locations for viewing purposes. There comes a time in every organisation when a surplus arises – i.e. assets or inventory that no longer serves a lucrative purpose. Specialising in traditional on-site and online auctions, GoIndustry DoveBid SA is the trusted expert in auctioneering, connecting buyers and sellers to transform that surplus into new opportunities for both parties. 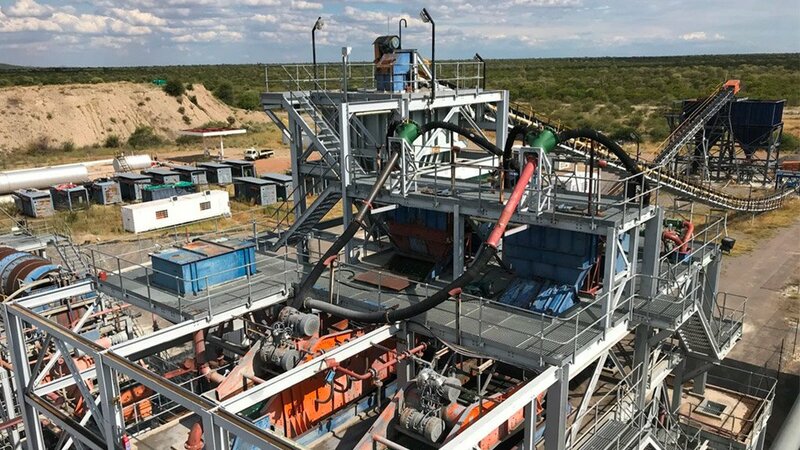 “Online auctions enable the seller to reach a wider audience, while in turn giving buyers from across the world the opportunity to place their bid on big ticket items, like this diamond mine in the Palapye Region”, says John Taylor. For further information, contact: John Taylor at [email protected], +27 (0)82 416 3883 or +27 (0)21 702 3206.